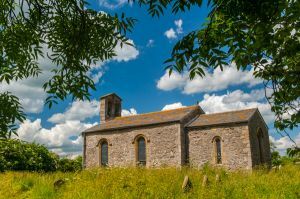 The tiny Norman church of St Nicholas at Littleborough is one of a number of candidates for the smallest parish church still in use in England. 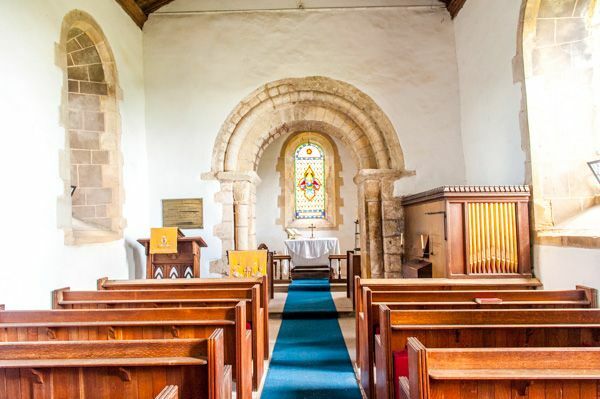 It certainly is one of the most interesting small country churches in Nottinghamshire. 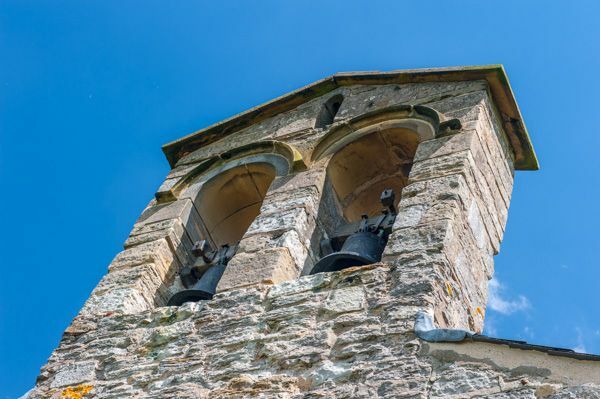 There is no record of a church at Littleborough in the Domesday Book, but persistent legend suggests that St Nicholas was founded by William the Conqueror himself because the village lay within his manor of Mansfield. 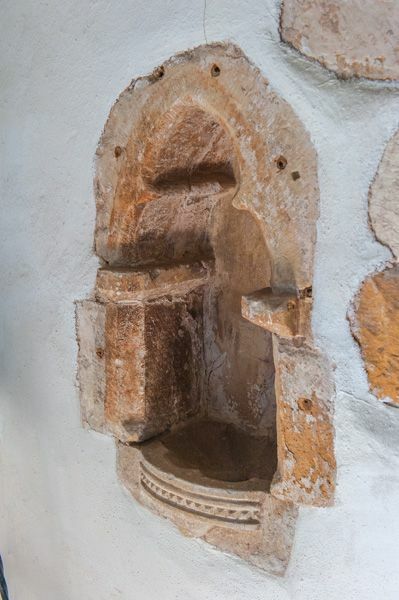 The church stands beside the line of a Roman road to an important for across the River Trent, and pieces of Roman bricks and tiles have been incorporated into the walls of the church. 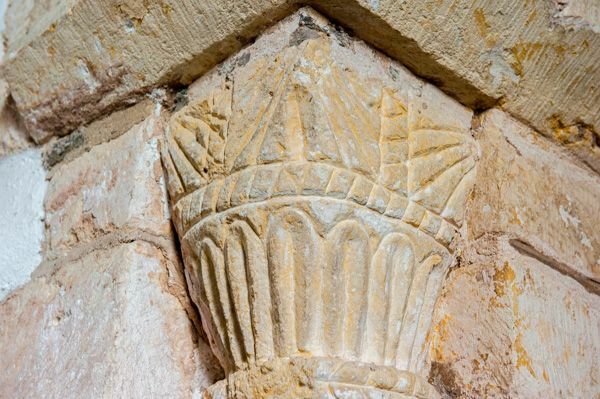 Pieces of Roman pottery are often found in the churchyard, a reminder of the small military fort the Romans built to guard the ford. One rather intriguing theory is that the Romans built a 4th-century Christian church here, and the site was later reused by Saxon, and then by Norman inhabitants. That theory would certainly account for the Roman material in the walls, but it could equally well have been gleaned from the nearby Roman fort. The church is extremely simple, consisting of just a nave and chancel. There is no tower, just a small stone bell turret at the west end. 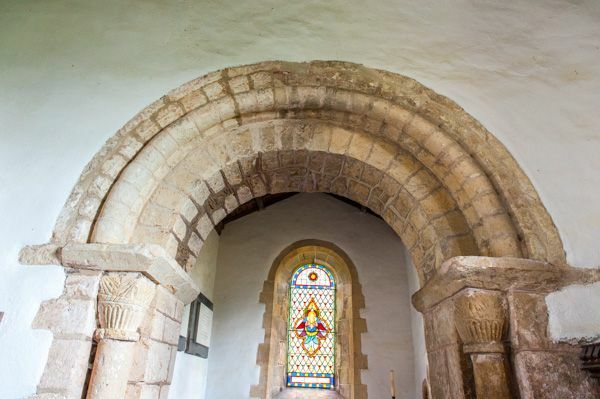 The most interesting features are the carved Norman doorway and the chancel arch, also early Norman. The arch also incorporates two small Saxon pillars. 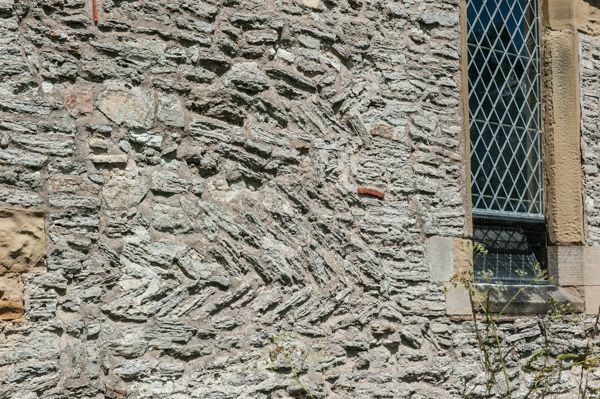 There are several examples of herringbone masonry; a typical late Saxon or early Norman pattern. 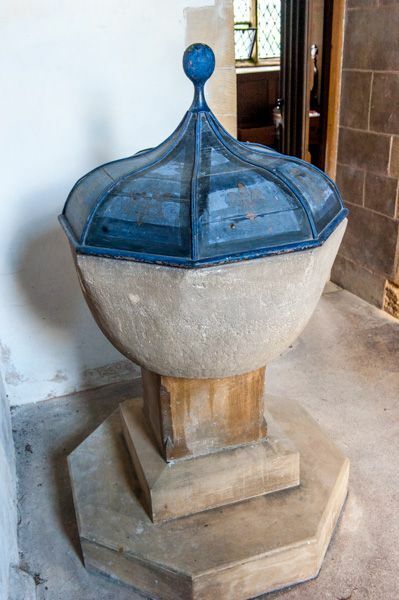 St Nicholas church is longer used for regular worship and is cared for by the Churches Conservation Trust.